This was taken by Flickr user Buntso [Clifford] in 2010, back when one of Arci Muñoz's goals was to become a beauty queen. And whether that change is good or not, the most important thing is that, when all is said, it should make you feel good about yourself. The recent photos of Arci Muñoz became viral and has spawned memes. Some don't like her "new look," stating, "Maganda ka na kasi e bakit ipababago pa."
Some find it too drastic, "Hindi ko siya nakilala." Some are supportive, "Push mo iyan girl kung diyan ka masaya." Now here are 16 photos capturing the beauty transformations of Arci throughout her 12-year showbiz career. And whether you like the changes or not, "It's my body," says Arci in an interview with PEP.ph (Philippine Entertainment Portal). In 2005, she joined StarStruck at the age of 16. She became part of Bakekang and Agawin Mo Ang Lahat Sa Akin. She bagged minor roles in four TV series on GMA. She wanted to become a beauty queen. She reprised the role of Cherie Gil in the remake of Ngayon at Kailanman. She was given the lead role, her very first, in the Kapatid primetime series Nagbabagang Bulaklak. She said no to posing for a men's magazine: "...Very strict talaga ang parents ko." She became a co-host on Wowowillie; she starred in her first movie, The Fighting Chefs. She auditioned for a role in Two Wives; signed a contract with ABS-CBN. She was launched as a Kapamilya via Pasion de Amor. She was paired with Gerald Anderson in Always be my Maybe; topbilled Camp Sawi. 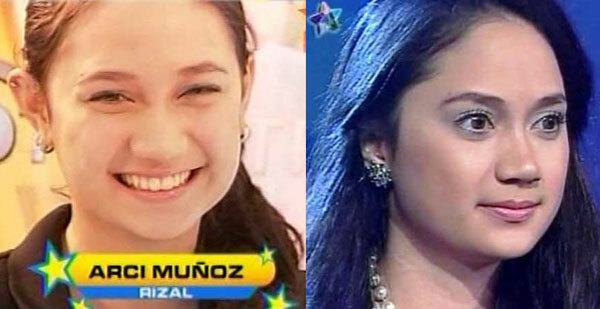 She starred in Magpahanggang Wakas, her first primetime soap on ABS-CBN. Arci was paired again with Gerald in a movie. 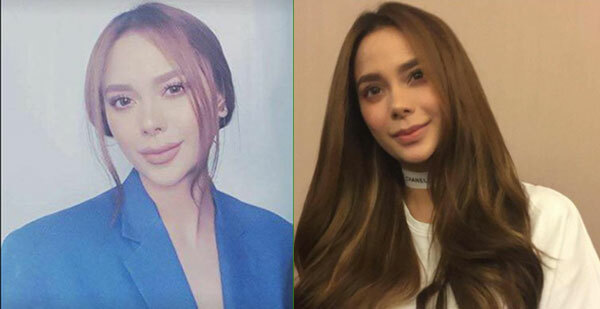 And while waiting for her next project on TV, photos showing her "new look" found their way to the Internet.